SAULT STE. 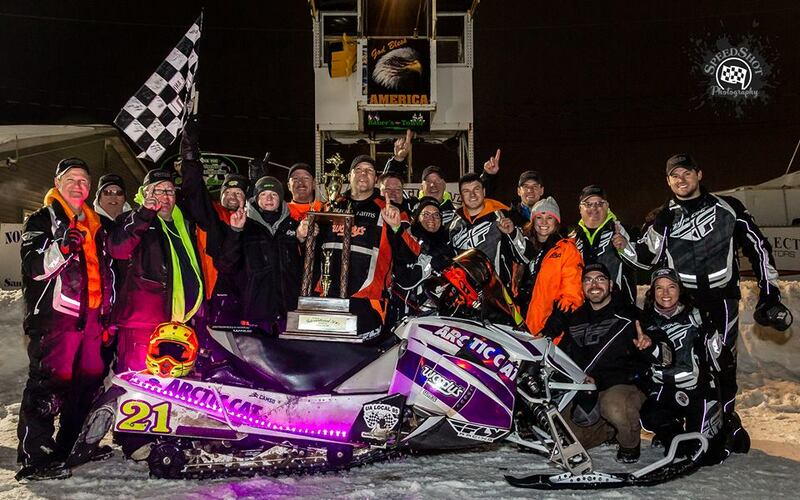 MARIE, MI – Feb. 2, 2019 – The Cadarette Collision Racing #21 / Arctic Cat – Snowmobiles entry with Troy DeWald (Third career Win), Ryan Spencer (1st) & Bill Wilkes (2nd) Win the 51st annual International 500 Snowmobile Race. After going down by four laps at the midway point of the race, the trio clawed their way back to the lead lap with 84 laps to go. Then. DeWald made the winning pass on Rookie, L.J. Quick (Hoos Racing #67) for the lead with 69 laps to go to bring home the win. For DeWald, the 49-year-old (soon to be 50 on February 7) it was his third career #SooI500 victory to go with his triumphs in 2010 (With Jeff Leuenberger) & 2009 (With Leuenberger & Bryan Dyrdahl), all with Cadarette Collision Racing. As for Spencer, the 43-year-old form Flint, MI collected his first career #SooI500 victory. Finally, for Wilkes, the 50-year-old from Wasilla, AK grabbed his second career #SooI500 win to go with his 2007 triumph with Chad Gueco. 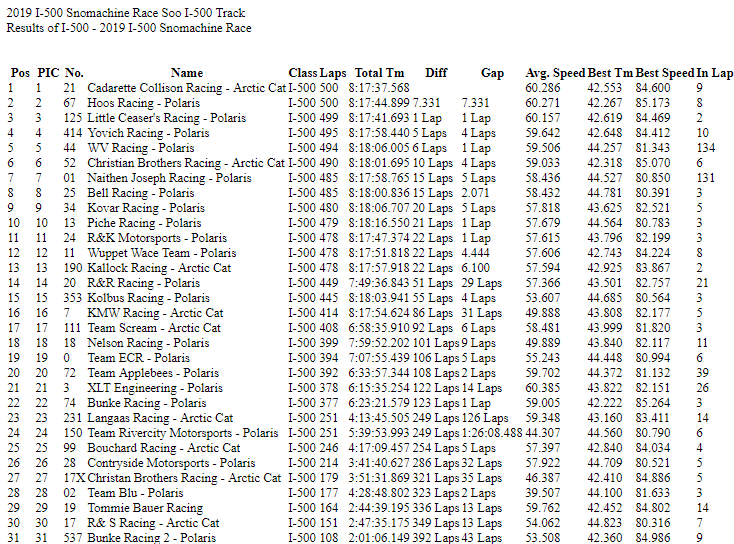 For Cadarette Collision Racing, in addition to the three victories with DeWald, they also have a victory in 2011 with Ross Chartrand & Tim Leeck.